This won the Oscar for best doc in 2014, it was up against The Act of Killing (the rightful winner), Cutie and the Boxer (not seen yet), The Square (not seen) and Dirty Wars, and is probably the biggest crowd pleaser amongst them, though not the best of them. Focusing on the backing singers and the wealth of talent that lays there; what it takes to break away from the sidelines and hit the big time and how it may just be in the alignment of the stars along with the personal journey of each individual. 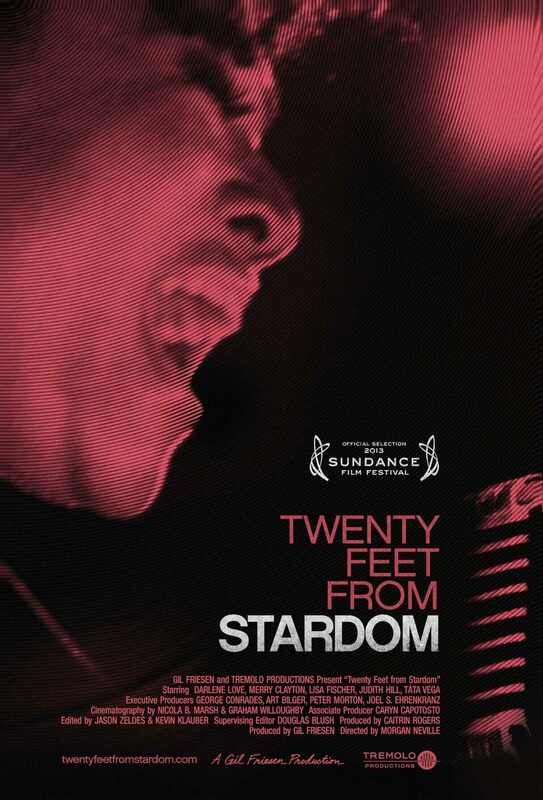 This is an entertaining documentary that raises itself slightly above a VH1 doc by having some very different, incredibly talented women who, by all intents and purposes, should have been massive stars. It features amongst many others, Darlene Love and her working relationship with Phil Spector and his Wall of Sound, Merry Clayton with her famous duet with Mick Jagger on Gimme Shelter, the incredible Lisa Fischer and Tata Vega. But it gets diluted the more subjects that are featured and therein lies the problem. This is one for the music lovers and is pedestrian at best; entertaining but not as incisive or in depth as it could have been.